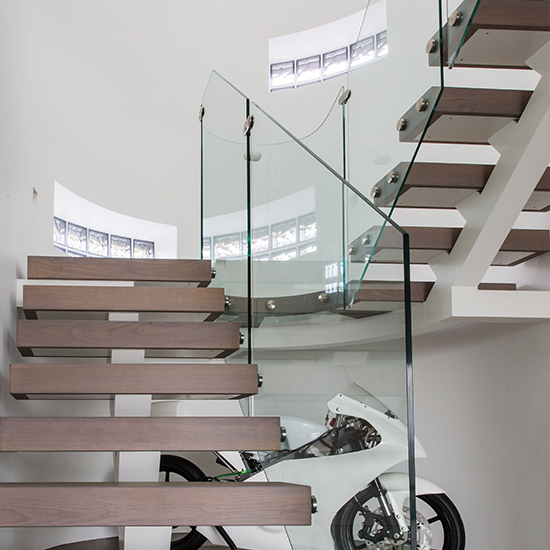 The Floating staircase is the original staircase of desire. 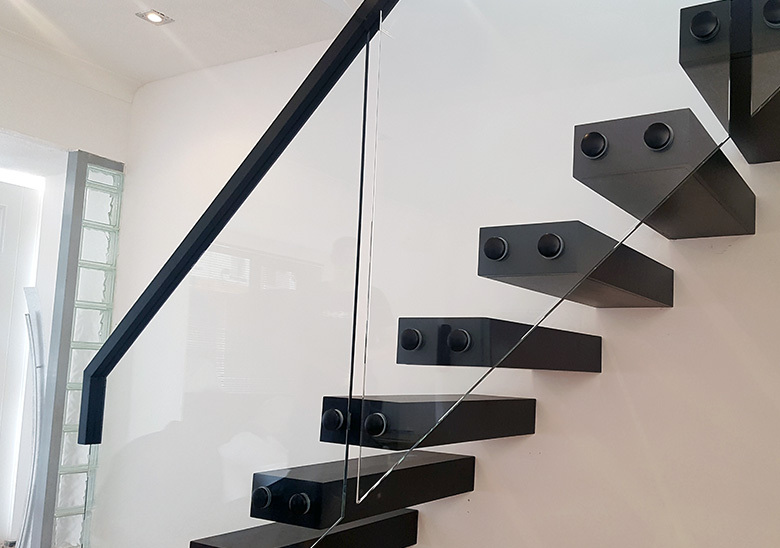 This work of art has been perfected by our engineers and craftsmen to create a distinctive piece which appears to simply float from the wall. 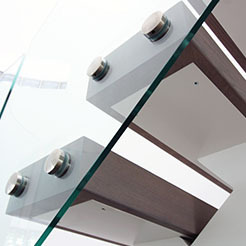 Each element can be customised to truly reflect your style. 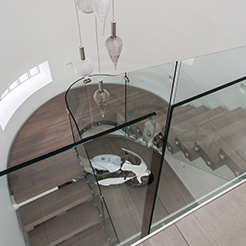 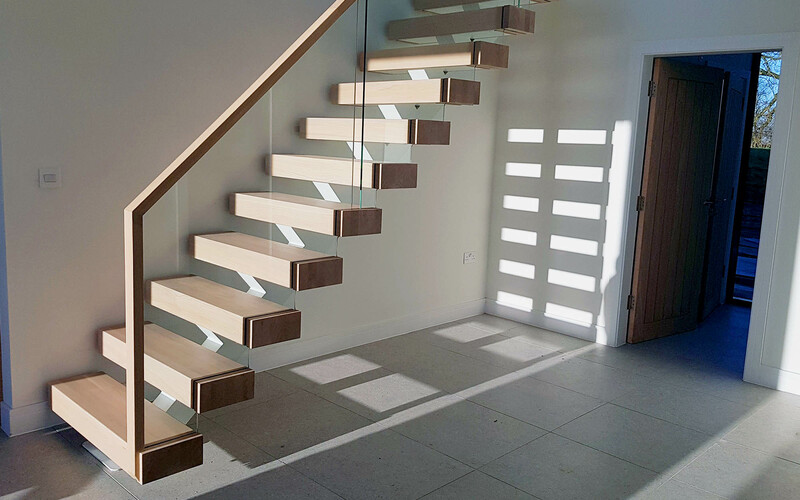 The Float staircase uses either a cantilever style or spine structure to create a true floating effect in the space, eliminating the need for structural posts. 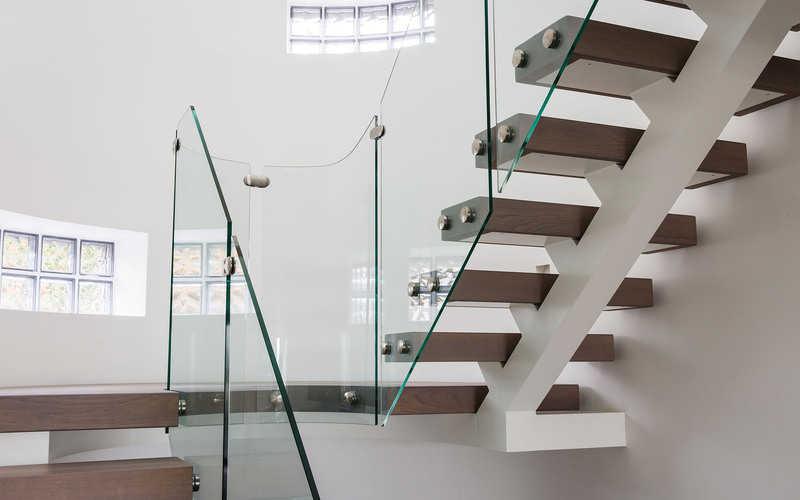 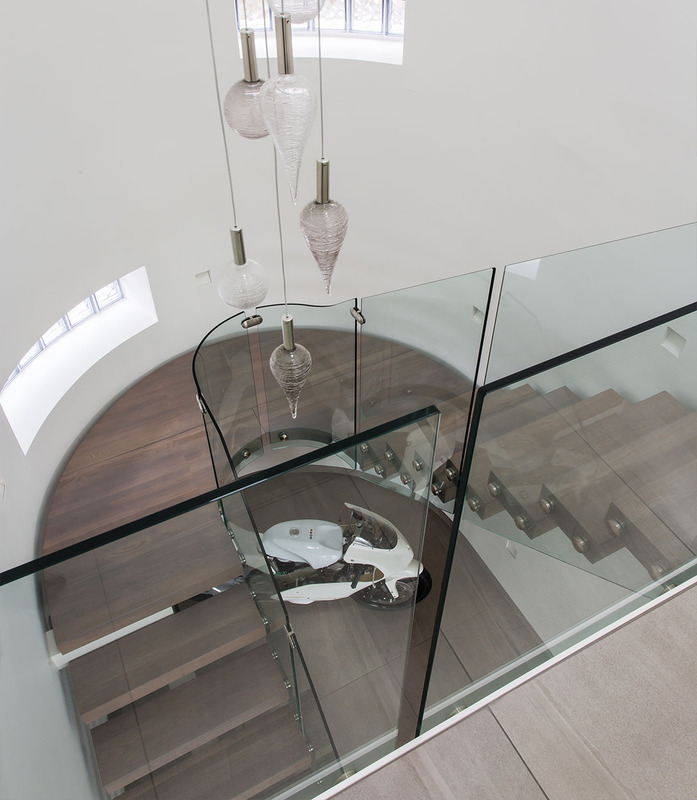 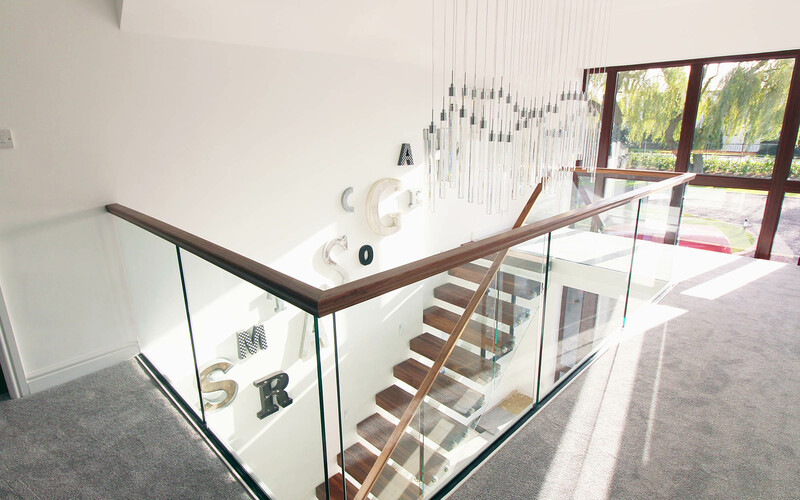 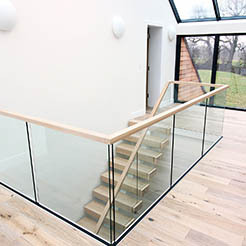 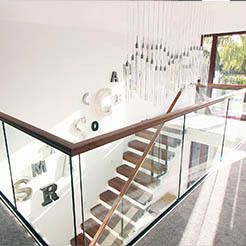 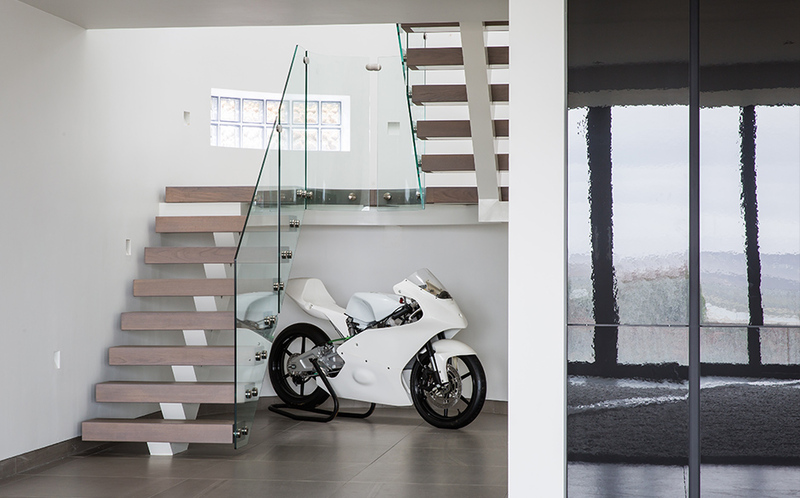 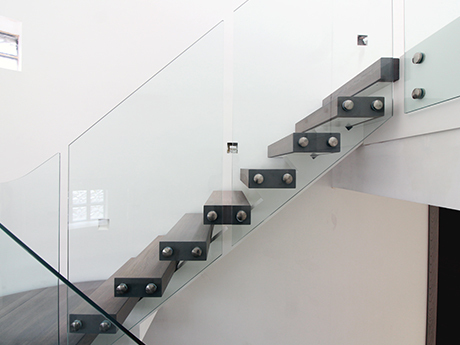 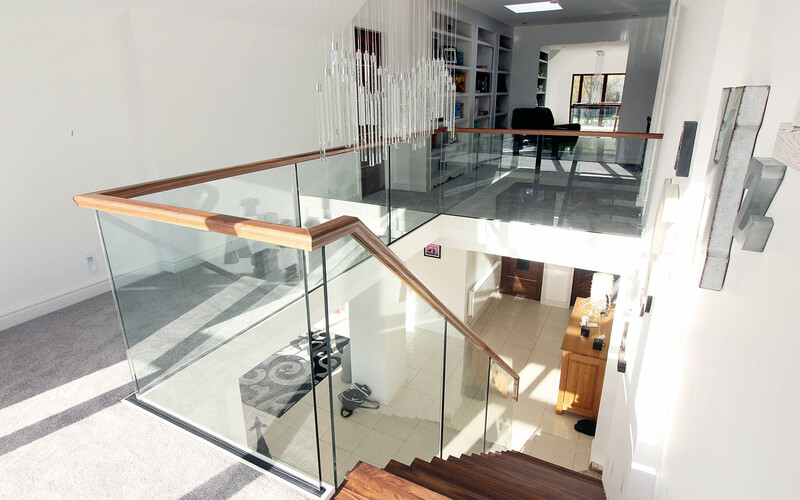 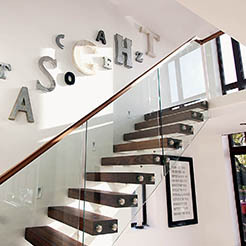 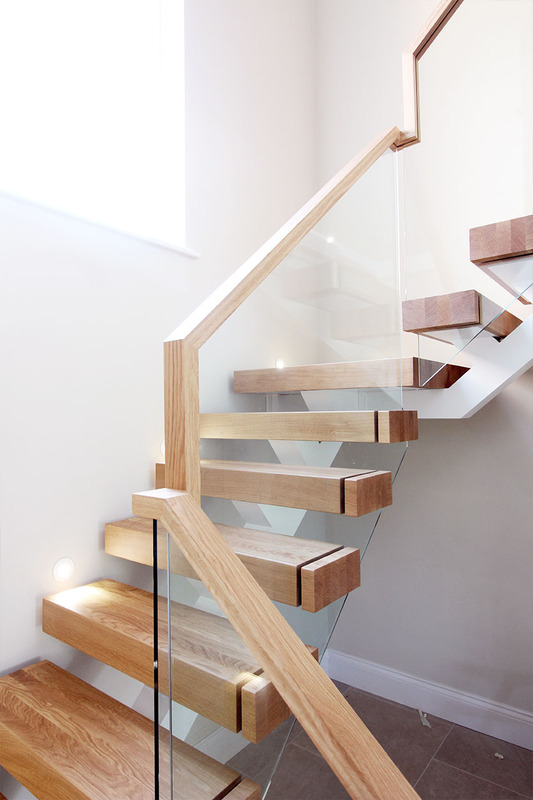 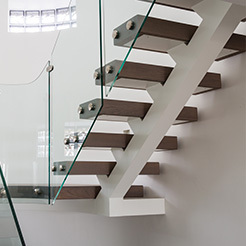 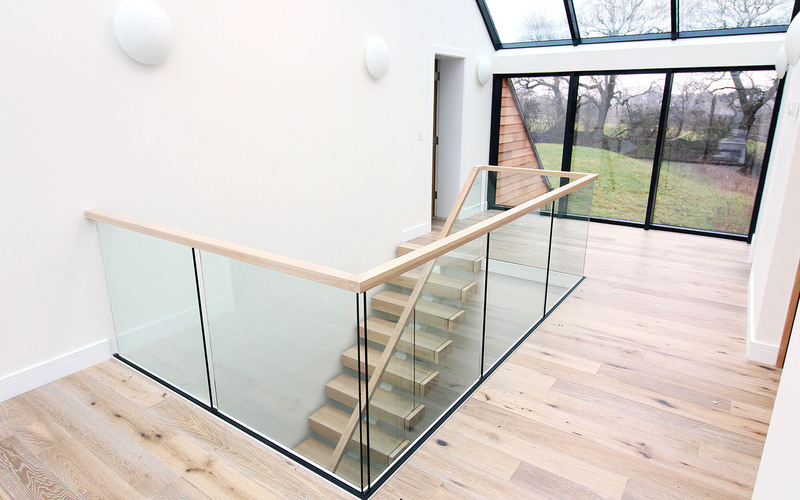 With its clear glass balustrade nd solid timber treads, this distinctive structure is a work of art in itself. 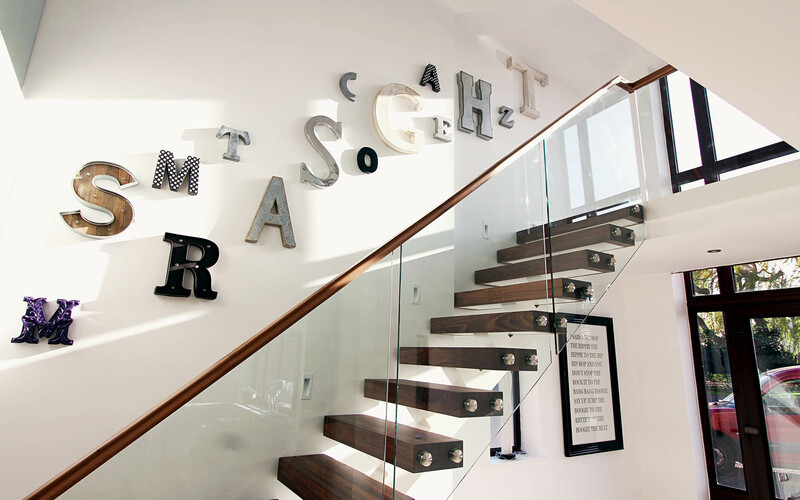 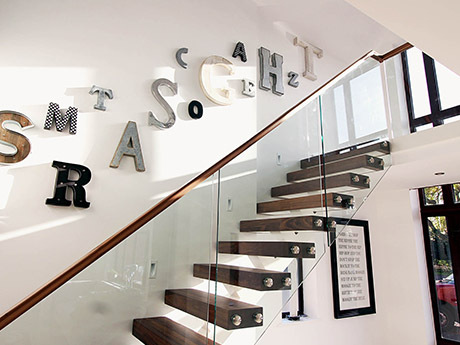 Once customised o your requirements, it will become a real statement piece in your home. 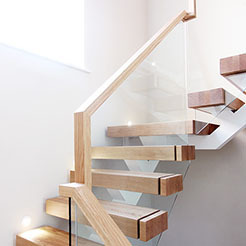 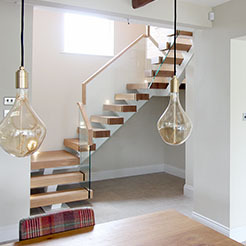 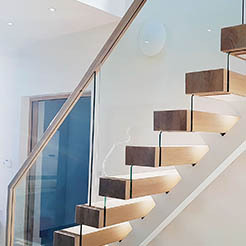 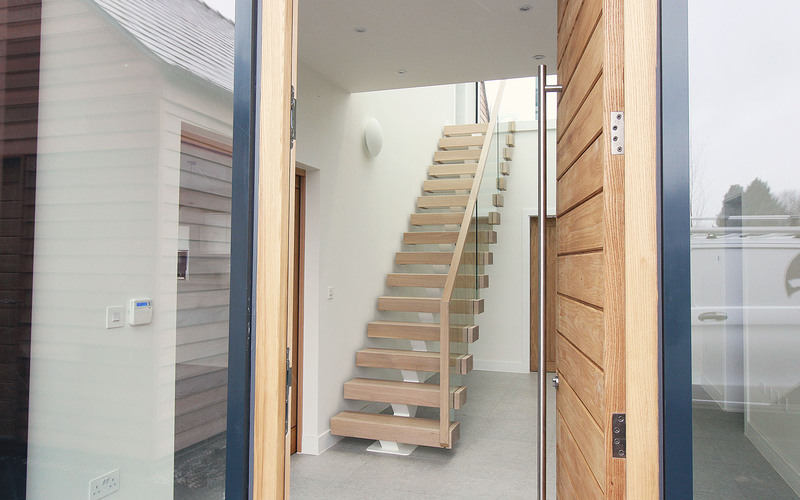 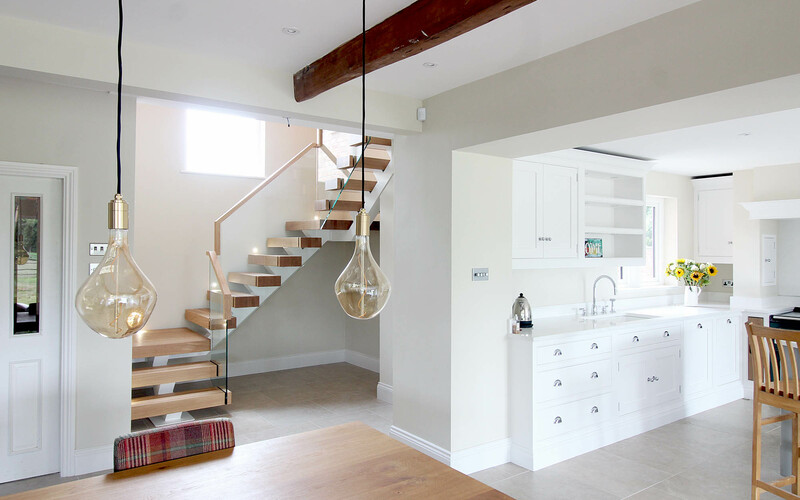 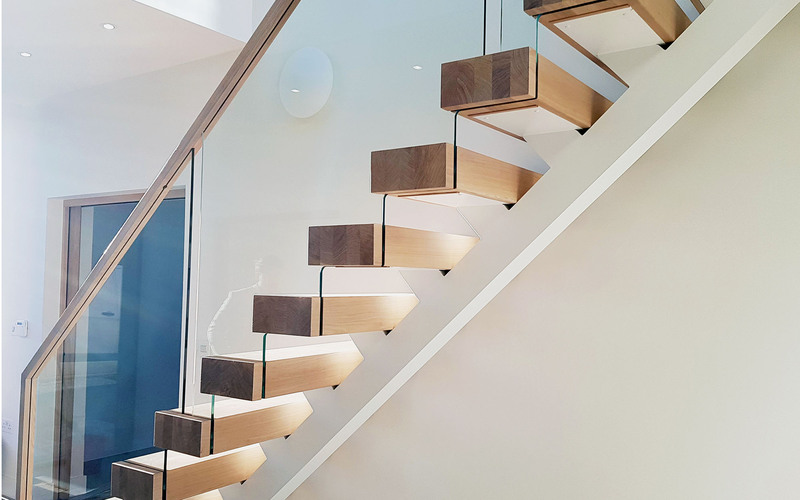 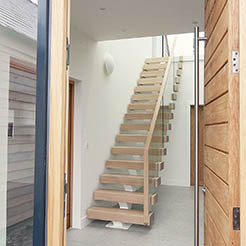 We recommend enquiring about your float staircase during the early stages of your build, this way we can advise on wall specifications to make the Float staircase installation simple and cost effective from the start. 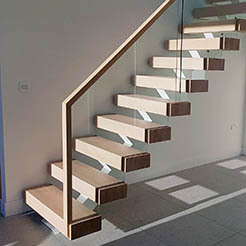 "The whole process of creating a cantilevered staircase is much more involved than that of a conventional staircase and truly becomes a labour of love. 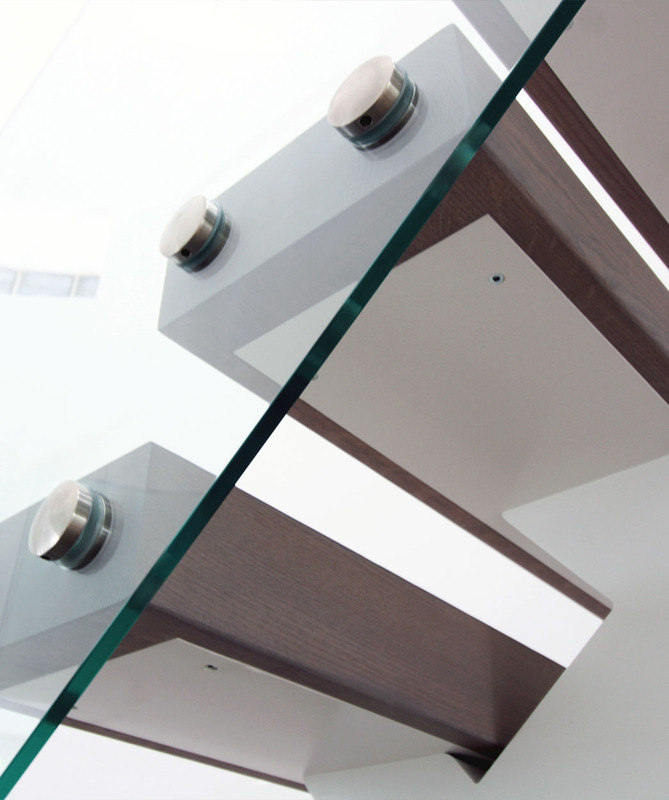 We have perfected our design over the last few years, focusing on the smallest of details to ensure that the end product is flawless. 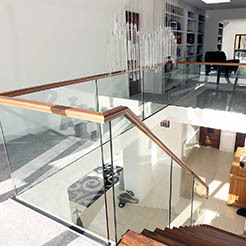 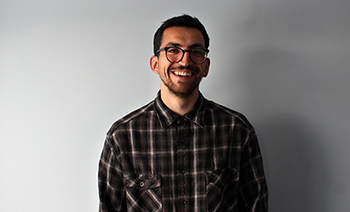 We have to work closely with our customers through every detail and we develop great working relationships”.